Herman Jackson is a Grammy Nominated Producer, Composer, Arranger, Musician and a UCLA Instructor. 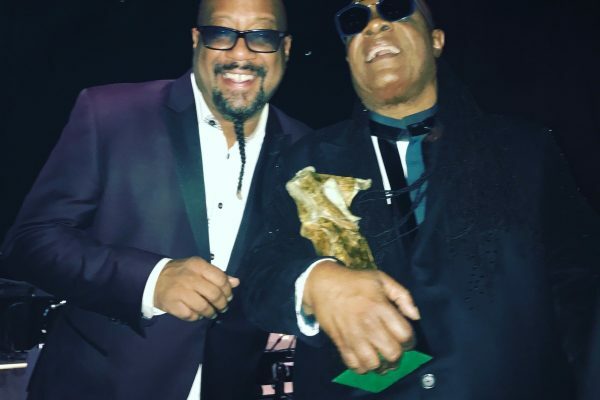 He has toured and recorded with Whitney Houston, Stevie Wonder, Quincy Jones, Aretha Franklin, Gladys Knight, Roger Daltrey, BeBe Winans, Jeffrey Osborne, Joe Cocker, The Temptations, Patti Austin, Calloway, and George Benson. He has arranged and conducted the San Francisco, Houston, & El Paso Symphonies, The Cleveland Orchestra, The Fort Wayne Philharmonic and The National Symphony. He has worked as a Musician and Arranger for The Tonight Show, American Idol, America’s Got Talent, Don’t Forget The Lyrics, VH1 Divas, The American Music Awards, the TV Land Awards, A Home For The Holidays, & The NAACP Image Awards. In 2003 Herman Provided Piano and Synths to the Grammy Record of the Year Winner “Speakerboxx/The Love Below” by the Hip-Hop Duo Outkast. He Also provided keyboards to the Stevie Wonder CD’s “Conversation Peace”, “Natural Wonder”, and “A Time To Love”. Jackson did 2 ABC specials for Jessica Simpson as Music Director: “A Nick & Jessica Christmas” featuring Jessica Simpson, Nick Lachey, & Brian McNight, & “Nick & Jessica Support the Troops” Featuring Jessica, Nick, Brian, Willie Nelson, & Big & Rich. Herman has been musical director for “The Colors Of Christmas” tour for the last 10 years featuring the likes of Peabo Bryson, En Vogue, James Ingram, Aaron Neville, Oleta Adams, Stephanie Mills and many others. He has worked as Music Director for Jessica Simpson, Heather Headley, James Ingram, Peabo Bryson, Stephanie Mills, Lea Salonga, Aaron Neville, Ben Vereen, CeCe Winans, Jon Secada & Oleta Adams. In 2012 Herman Jackson produced the Grammy Nominated 24/7 by Gerald Albright & Norman Brown. He worked as Producer/Arranger/Musician on all of Grammy winner Norman Browns CD’s including the groundbreaking 1994 “After The Storm”. Herman Jackson served as Music Director of the 2008 Papal Mass at Yankee Stadium and he performed at the White House for Presidents Bush and Obama. He performed the National Anthem at the Super Bowl with Beyonce & Jennifer Hudson. He has performed on the Grammy Awards with Stevie Wonder, Aretha Franklin, Whitney Houston, Kid Rock, Keely Smith, Chris Brown, Cristina Aquilera, Yolanda Adams, Florence Welch, Martina McBride and Lionel Richie. He has done television Appearances with Smokey Robinson, Yolanda Adams, Rod Stewart, Andrea Bocelli, Joe Cocker, Kelly Clarkson, Chaka Khan, John Legend, Robin Thicke and many others. His new class at UCLA “Arranging for Independent Artists and Music Producers” has been well received and loved by his students. Well represented in the Jazz world, Herman Jackson has toured and recorded with: George Benson, Norman Brown, Boney James, Dave Koz, Euge Groove, The Crusaders, Bob James, Lou Rawls, Phil Upchurch, Brian Culbertson, Peter White, Jeff Golub, Paul Jackson.